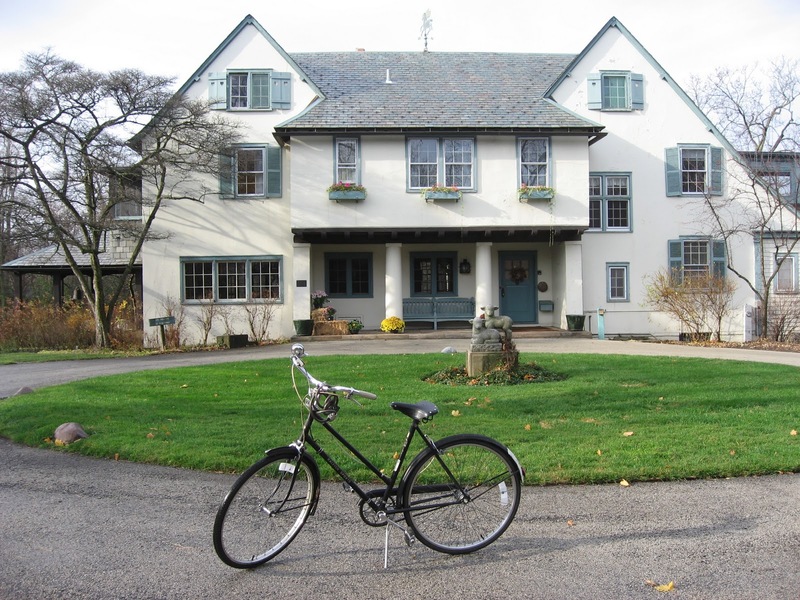 Mission: Ragdale is a non-profit artists’ community located on architect Howard Van Doren Shaw’s country estate in Lake Forest, 30 miles north of Chicago. In 1976, Shaw’s granddaughter, Alice Judson Hayes, transformed her family’s summer home into an artist’s retreat to provide time and space for artists to create important new work. Today Ragdale annually hosts more than 150 artists, writers, choreographers and composers at all stages of their careers for 2-6 week residencies, making it one of the largest interdisciplinary artist communities in the country. Ragdale offers a retreat setting where at any given time, a dozen creative individuals experience uninterrupted time for dedicated work, a supportive environment, dynamic artist exchanges, 50 acres of idyllic prairie and a family-style dinner each evening. At Ragdale we believe that time and space are not luxuries but necessary elements for creating important new work. Ragdale provides these necessities to artists in the form of 2-6 week residencies. Add eleven other creative individuals to the mix, acres of idyllic prairie, a family-style dinner each night, and you have Ragdale. Cost: An 18-day residency will cost $630 and a 25-day residency will cost $875. 5-day Themed Residencies cost $175 per person. Financial aid is available on a limited basis; applications are available upon acceptance to the residency program. Residents are responsible for bringing their own computers, materials, supplies, and special equipment. Residents may bring cell phones, but phone use is limited to specific areas. Ragdale can accommodate 8 writers, 3-4 artists, and 1 composer during each residency session. All but one residents’ quarters are combined live/work spaces. Accommodations: Writers’ rooms each have a large desk and a variety of reference materials. They are located on the second floor of both the Barnhouse and Ragdale House buildings. Although private, the rooms are adjacent to each other and share hallways. The composer’s studio has a baby grand piano and doubles as a visual art studio. The space is not completely sound-proof, but is separated from the writers’ rooms. Located in a separate building called the Friends’ Studio, it shares a bathroom with one visual art studio adjacent to it. All visual artists’ studios have natural light and a sink/running water as well as tables, stools, and chairs or couches. Artists are assigned spaces that are suited to the projects they proposed in their work plan. Special facilities and equipment such as a wood shop, darkrooms, kilns, or printing presses are not available, though residents may bring their own tools and supplies if needed. Password protected wireless internet is available in all three buildings if requested. Ragdale has a universally accessible studio in the Barnhouse. The Chandler studio, a live/work space with a wheelchair-accessible private bath, accommodates visual artists or writers. The space is adjacent to the kitchen and dining facilities. The character of Ragdale finds its way into each artist’s room, with names like Sarah’s Room, Beach Room and Top of the Stairs. Each room has a twin or double bed and a private or shared bathroom. Communal spaces (living rooms, dining rooms, etc.) are for shared use among residents. Laundry facilities are provided in both houses as is a communal computer and printer. Dinner is provided five nights a week, Monday through Friday. Our chef generally prepares vegetarian meals with meat dishes on the side. The Barnhouse and Ragdale House kitchens are available 24 hours a day and is fully stocked for residents to prepare their own breakfasts and lunches. Basic food supplies are provided but residents are asked to provide special dietary needs on their own. Residents may bring their own food or shop at local grocery stores which are approximately 1 mile away. Ragdale’s office is open Monday through Friday (8 a.m. to 4 p.m.) for use of the copier, fax machine, postage scale, and other office supplies and resources. The staff is happy to assist and provide information. Length of Stay: 18 or 25 days. Several 5 day Themed Residencies for collaborative groups of 3 or more are offered annually. Demographic/Medium: Ragdale welcomes artists at all stages of their careers and seeks to create a mix of various experience levels in each group of residents. Through a competitive application process, Ragdale offers residencies to visual artists, writers, composers, and interdisciplinary artists. Those working in sound, performance, choreography, or combinations of disciplines are also encouraged to apply under the Interdisciplinary category. Benefits: Residents may organize readings and open studios among themselves, and there are often opportunities to participate in formal public programs, school programs, and donor cultivation events. Participation in these activities is completely voluntary. Deadline: May 15, 2017 for all 2018 residencies. Posted in Illinois, RagdaleTagged 2 weeks, 3 weeks, 4 weeks, 5 weeks, 6 wekks, Alice Judson Hayes, art residency, artist exchange, Artist Residency, artists, baby grand piano, Barnhouse, Chandler studio, Chicago, composers, coreography, country estate, dinner is provided, family-style dinner, financial aid, Friends' Studio, Heartland, Howard Van Doren Shaw, idyllic, Illinois, interdisciplinary artist community, interdisciplinary artists, Lake Forest, large desk, natural light, non profit, open studios, Performance, public programs, Ragdale, Rate My Artist Residency, Readings, reference materials, Sound, space, Studio, supportive environment, time, Top 10 Artist Residency, visual art studio, visual artists, WritersBookmark the permalink.